Asthma can drastically affect a person’s quality of life, and dealing with it can be a lifelong process if you or a loved one suffers from it. The best way to manage asthma is being well informed. Friends, family or the immediate caretakers of an asthma patient need to understand this condition to be prepared for an asthma attack. Asthma manifests from a combination of environmental and genetic factors. The causes and symptoms can vary from person to person. A medical test is required for proper diagnosis and to gauge the intensity of the condition. Breathlessness, tightness, and pain in the chest, wheezing and coughing are some common asthma symptoms. Wheezing is a squeaky-like whistling sound that occurs during breathing as a result of narrowing of the airways. Maintaining a healthy weight is important, as obesity increases the potential for breathing problems and your chances of having asthma. Identifying and avoiding your allergens can help prevent bad asthma attacks. Know the signs of the onset of an asthma attack to nip it in the bud. Asthma symptoms will vary throughout a person’s life. Meet with your doctor regularly to adjust your medication and action plan accordingly. While taking medications under a doctor’s supervision is important for safe management of the condition, many natural remedies can help supplement those medications for relief from asthma symptoms. As life-saving as asthma drugs may be, they come with their own set of side effects. Making some lifestyle changes and using some natural remedies can help you deal with your asthma better and may even ease your dependency on the medications. Here are 10 home remedies to help you get relief from asthma symptoms. Apple cider vinegar is especially beneficial for asthma symptoms triggered by acid reflux. (4) In times of distress, apple cider vinegar can be consumed to get relief from coughing, breathlessness, and wheezing. 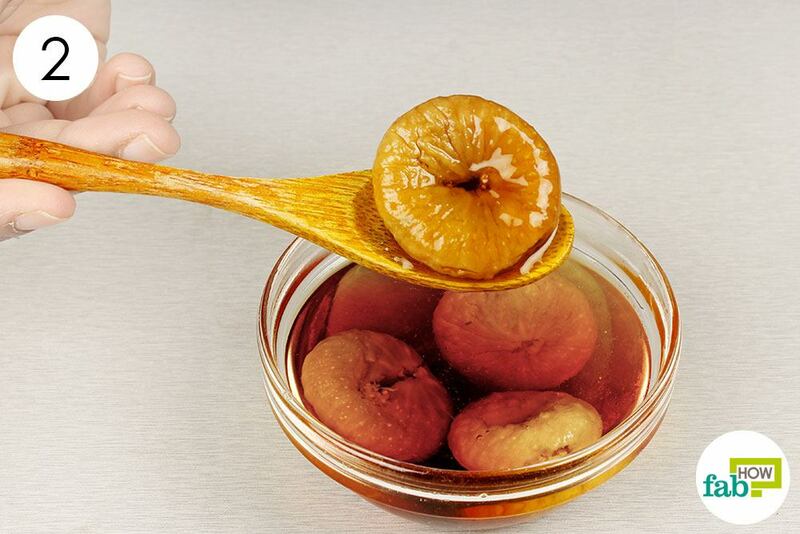 The bacterial culture present in raw, unfiltered apple cider vinegar is the source of its healing properties. It also helps balance the pH levels of the body. 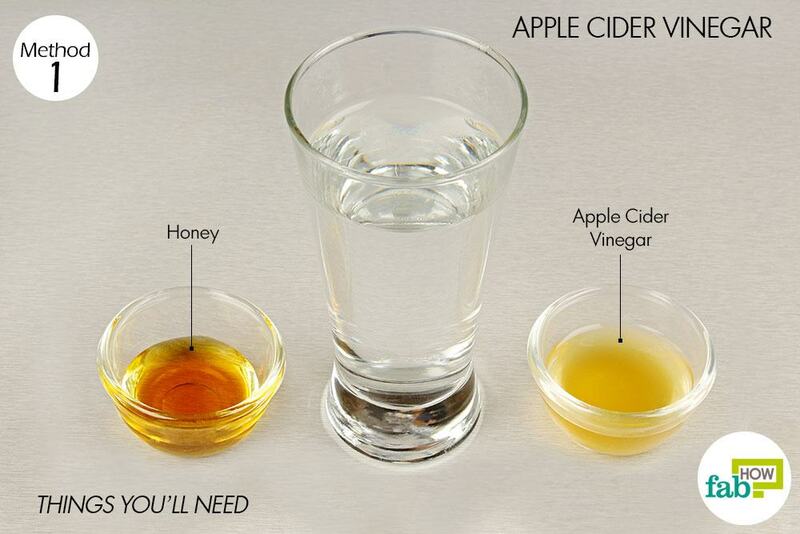 For best results, apple cider vinegar should always be consumed in diluted form. 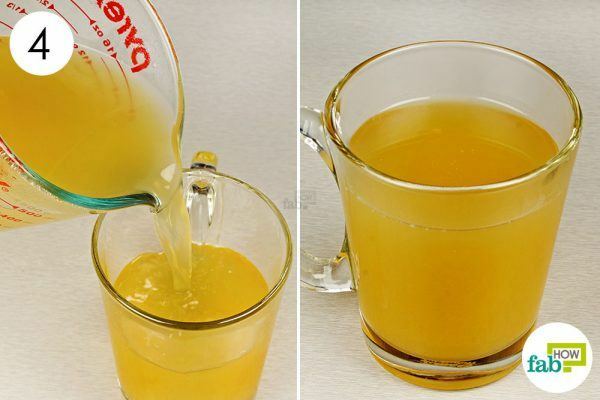 You can mix it with honey to improve the taste. Honey will also act as a decongestant and allow you to breathe more deeply. Pour 1 tablespoon of raw, unfiltered apple cider vinegar into 1 cup of water. 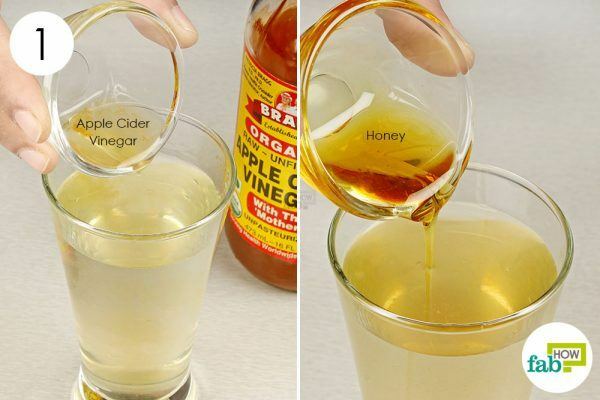 Sip on this apple cider vinegar drink slowly to alleviate your asthma symptoms. If your wheezing persists, repeat this remedy after 1 to 2 hours. 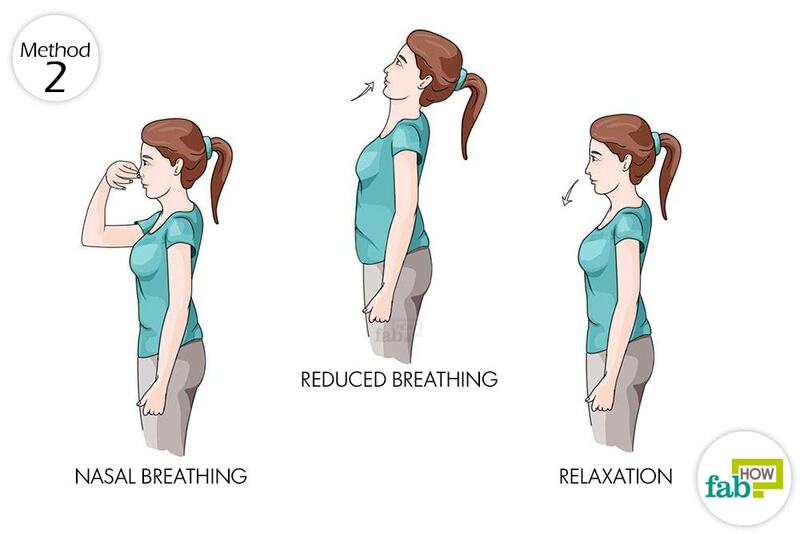 Named after its founder Dr. Konstantin Buteyko, the Buteyko breathing technique is not only effective in relieving asthma symptoms but also can help improve the overall quality of your life. Nasal breathing: Nasal breathing is the natural way of breathing, which controls the volume of air exhaled and inhaled. Breathing through the mouth is often thought to be the cause of breathlessness and distress in asthma patients while exercising or sleeping. Air breathed in through the nose is also filtered by the nostrils’ mucous lining, preventing particulate matter, microbes, and allergens from entering your system. The temperature and moisture content of air breathed in through the nose is also in sync with the temperature conditions of the body. Reduced breathing: Breath control is an important aspect of the Buteyko technique, which aims to counter over-breathing by reducing the rate and volume of breathing, the latter of which can be done through nasal breathing. It may take some practice in the beginning, but it’s quite like riding a bicycle – once learned, the techniques become instinctive. Relaxation: Relaxation is a key point in Buteyko’s technique. 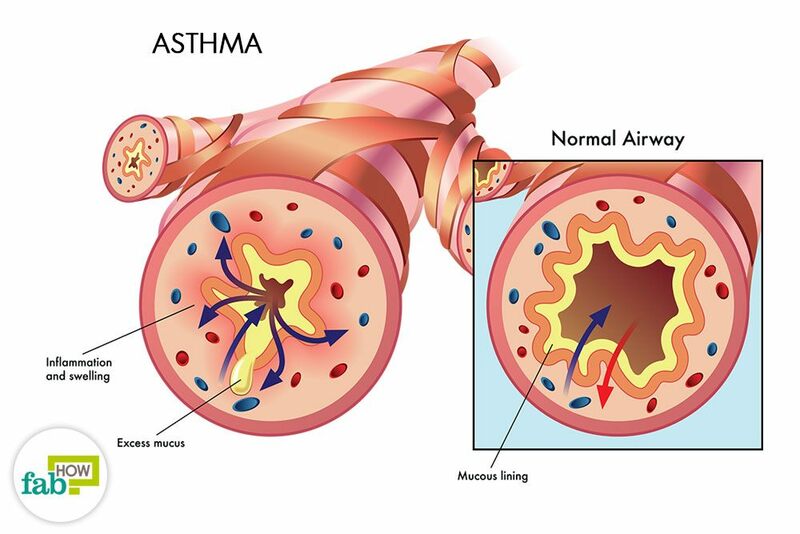 The onset of asthma is marked by a short period of rapid breathing. You can prevent it from spiraling into a full-on asthma attack by relaxing your breathing during this period. Ginger is an effective bronchodilator and can act as a safe supplement to the current asthma medications in the market. 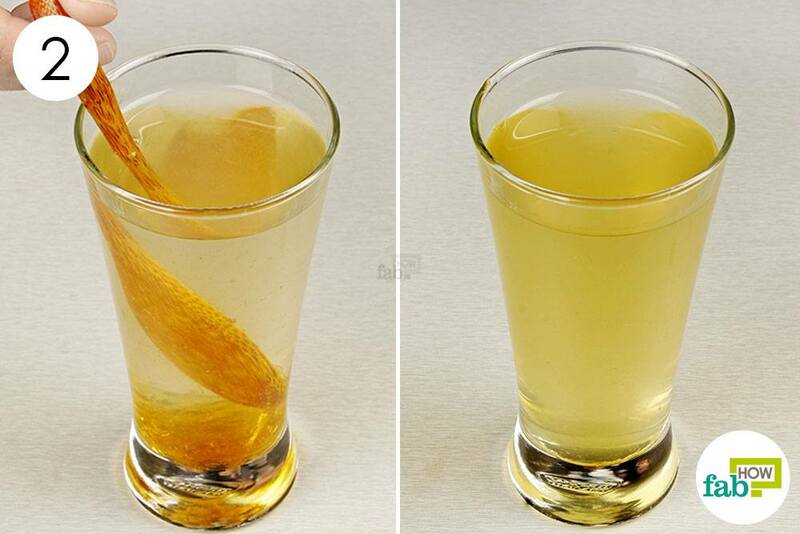 Drinking ginger tea regularly is a good way to get the benefits of ginger. Herbal tea can also help soothe the respiratory tract. Licorice, stinging nettle, oregano, peppermint, garlic, and turmeric are some of the herbal teas that you can use. Lemon and honey are common remedies that boost the immune system and provide relief from respiratory distress. Add ¼ cup of sliced ginger to it. 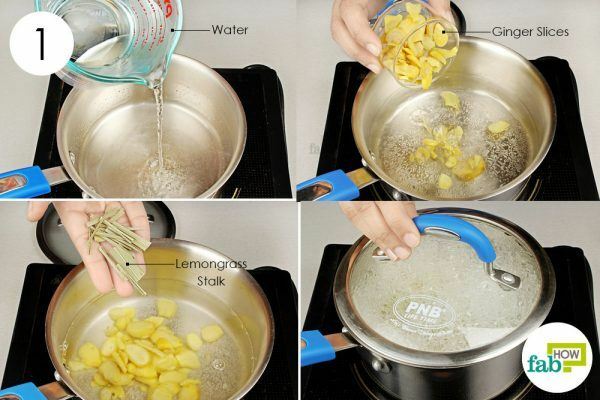 Add ¼ cup of dried and chopped lemongrass stalk as well. Cover the pan and let the ingredients simmer for about 5 minutes. 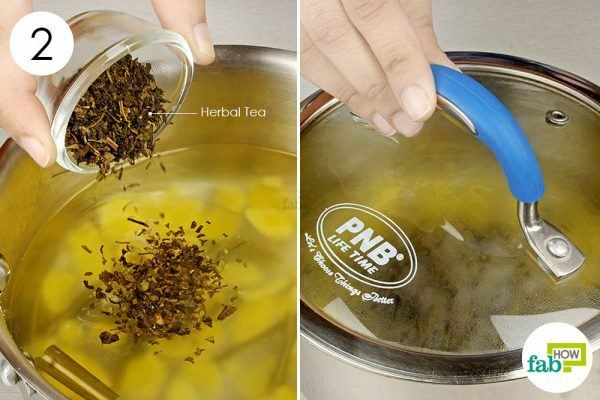 Take the pan off the heat and immediately add 2 teaspoons of herbal tea leaves to it. Cover the pan and let the tea steep in hot water for 3 to 5 minutes. Strain the tea to remove the ginger pieces and leaves. Squeeze the juice from 1 small lemon into the tea. 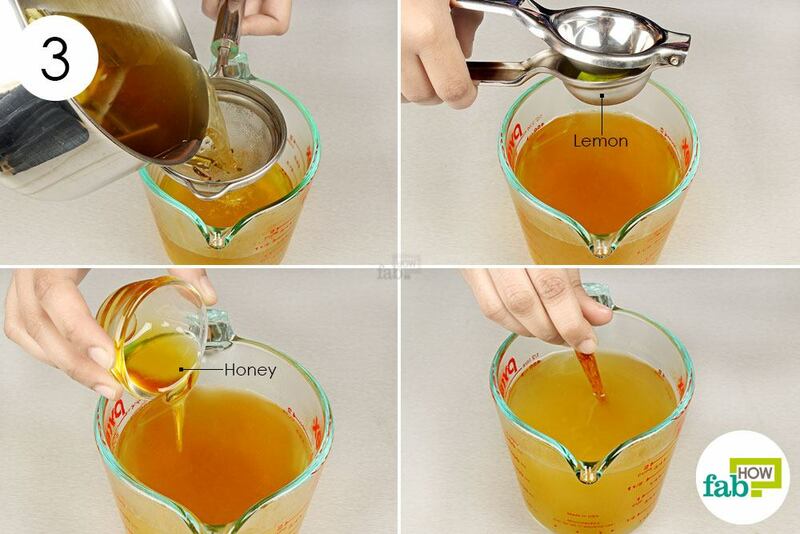 Add 2 teaspoons of honey to it as well. Stir to mix the ingredients into the tea. Pour the tea into a cup and drink it while it’s still warm. The amount of the tea made can be consumed in two portions. 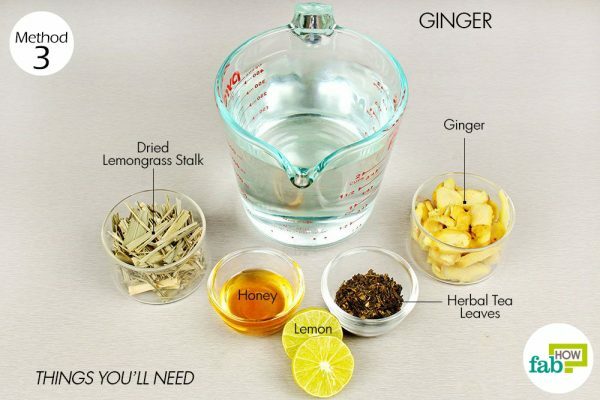 Drink this herbal ginger tea 2 or 3 times a day to relieve asthma symptoms. Note: Experts advise not drinking caffeinated coffee for 4 hours before any medical tests to determine the intensity of your asthma, as it can downplay the severity of your condition and prevent you from getting the right treatment. The antibiotic properties of garlic also boost the immune system (9) and protect the body from minor cold and flu infections that may trigger asthma symptoms. 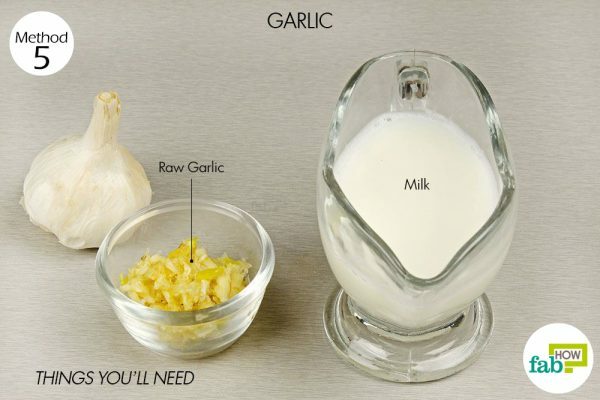 Garlic milk is a very easy remedy to prepare to get relief from asthma symptoms. 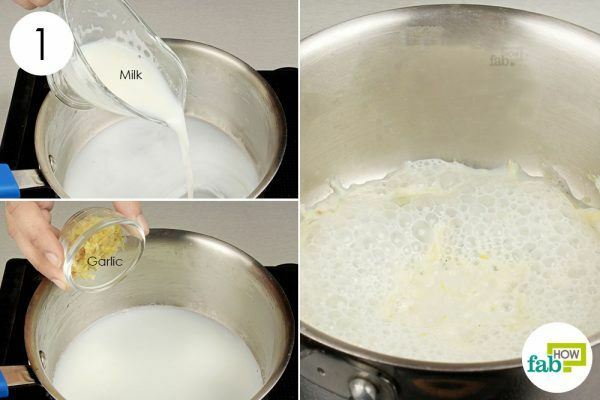 Pour ¼ cup of milk into a pan. Add 1 tablespoon of peeled and crushed raw garlic cloves. Bring the contents of the pan to a boil. To prevent the mixture from sticking to the bottom of the pan, stir it with a wooden spoon or spatula. Take the bubbling mixture off the heat and strain it to remove the garlic pieces. Allow the milk to cool down so that it’s warm instead of hot. Drink the garlic milk as it is or sweetened with honey. Consume the garlic milk once each day to get relief from severe asthma symptoms. Dry figs are considered a safe and natural remedy for asthma as well as coughing triggered by phlegm and nasal congestion. It helps by clearing out the phlegm from the bronchial tubes. Put 4 or 5 figs in a bowl. 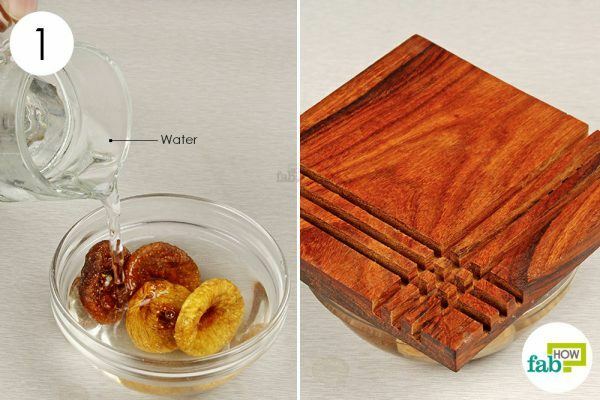 Pour water into the bowl so that it completely covers the figs. Cover the bowl and let the figs soak overnight. Eat the soaked figs daily, along with the water in which they’re soaked. Consume on an empty stomach to get the full benefits of the fruit. Peppermint oil works as an expectorant and can help alleviate colds, coughing, and allergies that may act as triggers for an asthma attack. (10) Often asthma attacks are brought upon by anxiety. Peppermint is also soothing and can curb anxiety that may lead up to asthma. 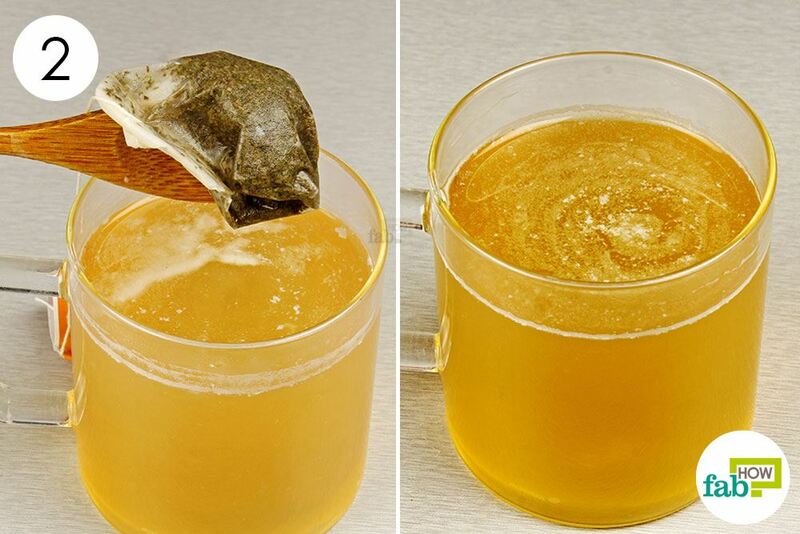 Put a peppermint tea bag into 1 cup of hot steaming water. Cover and let the tea steep for 3 to 5 minutes. 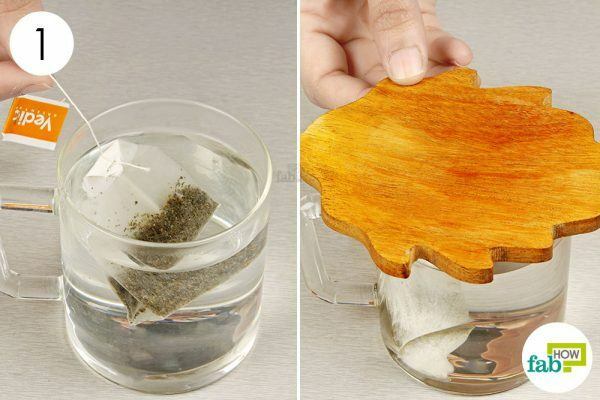 Remove and discard the used tea bag. Drink the soothing peppermint tea twice a day to calm your nerves and get respite from asthmatic distress. Salt therapy, also known as halotherapy, is a natural treatment that has been found effective in controlling asthma symptoms. (11) Recently, many salt rooms have opened up that mimic salt caves. Through controlled temperature and humidity, salt rooms regulate the concentration of salt particles in the air for an optimum healing environment. When you inhale mineral salts in this way, it helps clear mucus and reduces inflammation in the bronchi, which opens up the airways and purifies the lungs. A measured course of salt room sessions can reduce the frequency of asthma attacks. The minerals present in the salt eliminate the bacteria in the respiratory system. Salt also reduces immunoglobulin levels, so that the immune system doesn’t overreact to the triggers. While you may not always have a salt room nearby when your asthma symptoms show up, you can use organic sea salt or pink Himalayan salt and water to alleviate the symptoms. Just put a generous pinch of organic sea salt or pink Himalayan salt under your tongue. Be careful not use plain table salt. While the salt is dissolving, down 1 cup or more of water. This should alleviate asthma symptoms. While there is no specific relation established between asthma and nutrition, eating a healthy, nutritious diet and avoiding certain problem foods can help you manage your asthma better. Avoid cheese and mushrooms, especially if you are allergic to mold and mildew. (18) The mold present in these foods may trigger your asthma. Fermented foods like beer, wine, and vinegar should also be avoided for similar reasons. Avoid foods that may trigger an allergic reaction, as that can cause an asthma attack. If you suspect a certain food, consult your doctor to verify if you have an allergy to it so you can be sure to avoid it. You can also use a clean nasal spray pump to take hydrogen peroxide. Be sure to completely sterilize it before use. If you can’t get the actual lemongrass herb, you can use lemongrass essential oil in the ginger tea. 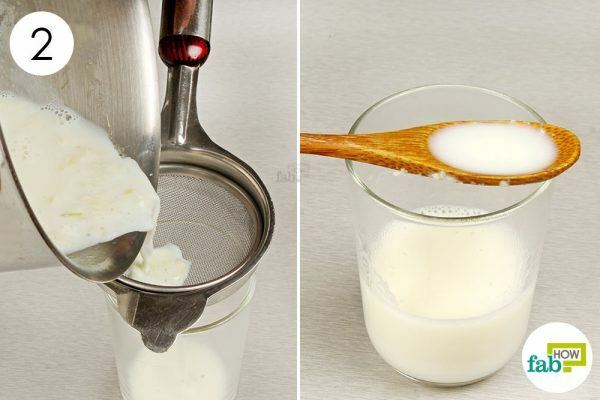 Add a pinch of turmeric powder to your garlic milk to make it more beneficial. Wash the figs before soaking them to remove dirt and other residual impurities. 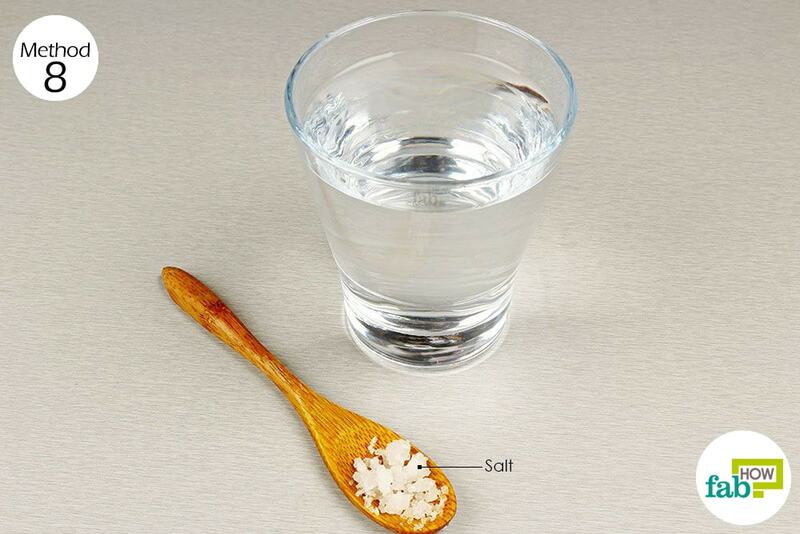 Never use table salt for oral salt therapy, as it can aggravate your asthma symptoms. Don’t shun exercise due to your asthma. Exercise is essential to keep your muscles and vital organs, including your lungs, in good shape. However, avoid exercising in cold, dry air. A warm and humid environment is better for people with asthma when exercising. Kudo, Makoto, et al. Pathology of Asthma - National Center for Biotechnology. Frontiers in Microbiology. https://www.ncbi.nlm.nih.gov/pmc/articles/PMC3768124/. Published September 2013. Kudo, Makoto, et al. Pathology of Asthma - National Center for Biotechnology. Frontiers in Microbiology. https://www.ncbi.nlm.nih.gov/pmc/articles/PMC2975603/. Published September. 2013. Yonas, Michael A., et al. Psychosocial Stress and Asthma Morbidity. HHS Public Access. http://ncbi.nlm.nih.gov/pmc/articles/PMC3320729/. Published April 2012. Boyer, Jeanelle, and Rui Hai Liu. Apple Phytochemicals and Their Health Benefits.BioMed Central. http://ncbi.nlm.nih.gov/pmc/articles/PMC442131/. Published May 2004. Bruton, A, and G T Lewith. “The Buteyko Breathing Technique for Asthma: a Review. Current Neurology and Neuroscience Reports.S. National Library of Medicine. http://www.ncbi.nlm.nih.gov/pubmed/15907677. Published March 2005. Khan, A M, et al. Zingiber Officinale Ameliorates Allergic Asthma via Suppression of Th2-Mediated Immune Response. Current Neurology and Neuroscience Reports., U.S. National Library of Medicine. http://ncbi.nlm.nih.gov/pubmed/25420680. Published March 2015. Welsh, E J, et al. 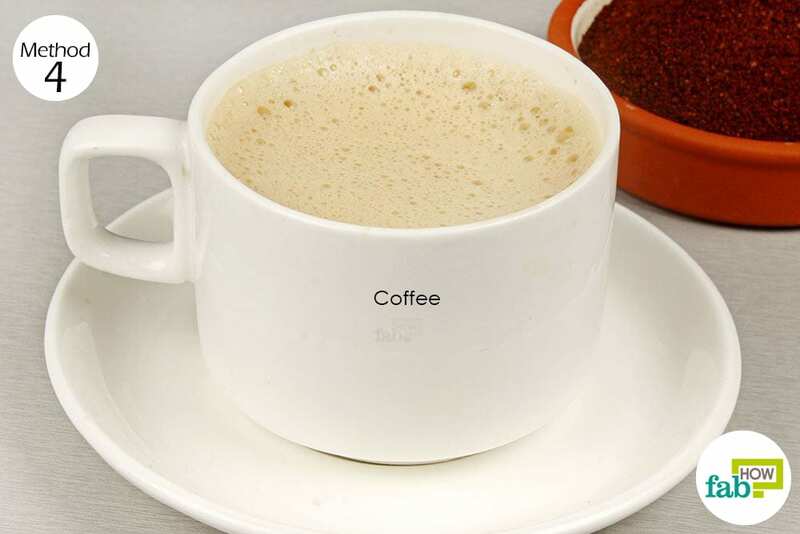 “Caffeine for Asthma.” Current Neurology and Neuroscience Reports., U.S. National Library of Medicine. http://ncbi.nlm.nih.gov/pubmed/20091514. Published January. 2010. Townsend, Elizabeth A., and Charles W. Emala. Quercetin Acutely Relaxes Airway Smooth Muscle and Potentiates β-Agonist-Induced Relaxation via Dual Phosphodiesterase Inhibition of PLCβ and PDE4. American Journal of Physiology. http://ncbi.nlm.nih.gov/pmc/articles/PMC3763034/. Published July 2013. Adetumbi, M A, and B H Lau. “Allium Sativum (Garlic)--a Natural Antibiotic.” Current Neurology and Neuroscience Reports., U.S. National Library of Medicine. http://ncbi.nlm.nih.gov/pubmed/6366484. Published November 1983. Tamaoki, Jun, et al. “Effect of Menthol Vapour on Airway Hyperresponsiveness in Patients with Mild Asthma. - Semantic Scholar.” Undefined. http://semanticscholar.org/paper/Effect-of-menthol-vapour-on-airway-in-patients-with-Tamaoki-Chiyotani. Published January 1995. Bar-Yoseph, R, et al. “Halotherapy as Asthma Treatment in Children: A Randomized, Controlled, Prospective Pilot Study.” Current Neurology and Neuroscience Reports., U.S. National Library of Medicine. http://ncbi.nlm.nih.gov/pubmed/27723955. Published May 2017. Cannell, John. 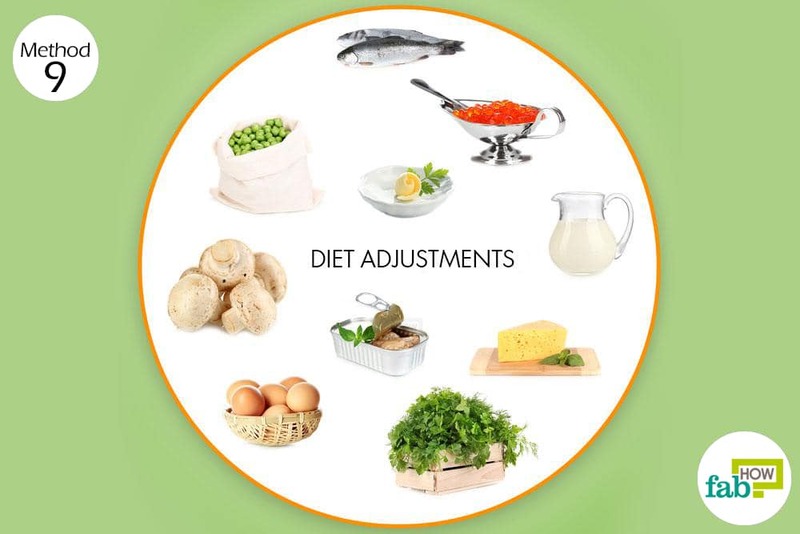 “Vitamin D and Asthma.” Vitamin D Council. vitamindcouncil.org/health-conditions/asthma/. Published May 2018. Miyata, J, and M Arita. “Role of Omega-3 Fatty Acids and Their Metabolites in Asthma and Allergic Diseases.” Current Neurology and Neuroscience Reports.S. National Library of Medicine. http://www.ncbi.nlm.nih.gov/pubmed/25572556. Published January 2015. M, AI Senaidy. Serum Vitamin A and Beta-Carotene Levels in Children with Asthma. Current Neurology and Neuroscience Reports.S. National Library of Medicine. http:// www.ncbi.nlm.nih.gov/pubmed/19728208. Published Sept 2009. Bichara, Marcela Davalos, and Ran D. Goldman. “Magnesium for Treatment of Asthma in Children.” CFP MFC. http://ncbi.nlm.nih.gov/pmc/articles/PMC2743582/. Published September 2009. Vally, Hassan, and Neil LA Misso. “Adverse Reactions to the Sulphite Additives.” Gastroenterology and Hepatology from Bed to Bench. http://www.ncbi.nlm.nih.gov/pmc/articles/PMC4017440/. Published 2012. Gaude, Gajanan S. “Pulmonary Manifestations of Gastroesophageal Reflux Disease.” Annals of Thoracic Medicine. http://ncbi.nlm.nih.gov/pmc/articles/PMC2714564/. Published 2009. Skypala, Isabel J., et al. “Sensitivity to Food Additives, Vaso-Active Amines, and Salicylates: a Review of the Evidence.” BioMed Central. http://ncbi.nlm.nih.gov/pmc/articles/PMC4604636/. Published October 2015. Melo, B, et al. “Associations of Ultra-Processed Food and Drink Products with Asthma and Wheezing among Brazilian Adolescents.” Current Neurology and Neuroscience Reports.S. National Library of Medicine. http:// www.ncbi.nlm.nih.gov/pubmed/29679410. Published August 2018.